Scrum is a very lightweight development methodology. The idea behind scrum is to be as lightweight as possible with maximum communication. There are a few meetings to be had in scrum, but only a few...10 minute daily meeting of all team members, 30 minute demo per sprint to all stakeholders, 30 minute planning session at the beginning of each sprint and a 30 minute retrospective at the end of each sprint after everything is done. I've heard comments from teams over the years where people tend to complain about retro...to some it is the biggest waste of 30 minutes in the whole process. I think the reasoning behind this is that teams tend to re-hash the same topics over and over again and they never seem to get resolved. I can see the frustration with this, but not discussing issues doesn't make them go away. Retrospective should never be the scrum master or the resident nit-pick rambling on about how bad everything is. It has a format, and it should be followed...every time: Did Well/Do Better/Stop doing. I see retro's deteriorate into 'What went well?...hmmm...well, we worked really hard...got lots done...that was good...' This isn't helpful...atta-boys come on payday. Encourage everyone on the team identify the one thing that works that we need to keep doing, and discuss if it's possible expand into other areas to improve other areas. At the very least, get everyone on the team to suggest one thing that the team could improve on to be more productive...creativity is critical here. Be critical of process and get people to examine one aspect of the process that everyone just does without thinking that doesn't really provide value and discuss ditching it. Agile teams are intended to be self managed. A manager's job is to ask questions like these every day, so it's now the team's job to do it...so do it. Get someone on the team to mark the start time and stop abruptly at a pre-determined stop time...even if you are in the middle of a heated debate. The meeting should never exceed 30 minutes, so do some quick math before you start to determine each member's time slice and stick to it. If more discussion is needed on any topic, add it to a 'parking lot' list and set a time for another team meeting at least 24 hours later...no earlier. Give people a chance to think about it and time box that meeting too. I've seen retro's go on for hours as finer points are debated which just adds to team frustration when things don't improve. Make sure that when the team comes up with an action item, it should be tied to a desired outcome. Don't just set rules for the team to follow that don't add any value. Ask yourself, 'Why would we do this differently?' If you can't come up with a measurable outcome, then perhaps it isn't something that the team should consider. This is harder than it sounds at first, but it will come with practice. For example, someone on the team suggests "I've noticed that we all work through lunch and don't take a break...I think we should start to take lunch break every day." While there is no doubt that this is a good rule to follow, the team should look at the reason this is important in terms of value and try and measure it. Perhaps the team feels that taking a lunch break will make for more productive afternoons. Perhaps the team feels that taking a lunch will make the team happier and less 'touchy' in the afternoons. Whatever the reason, identify it and make it a point to review the 'outcome' as opposed to the 'input' to measure the teams success at self management. I would even go so far as to say that the retro item be re-worded to say 'Improve the mood in the afternoon by taking lunch break every day' This may even give another team member an idea of something to try to 'improve the afternoon mood'. People need goals to solve problems, not suggestions. Consider an organization that builds cars and has problems with the cars that they make consuming too much gas. This overconsumption is making them inefficient, smelly and otherwise poor quality which is impacting their brand and losing sales. The leadership needs this overconsumption problem solved, so they begin collecting information on how to solve this problem. After research and thorough investigation, they realized that when you drive too fast in one of their cars, you burn more gas. The leadership asks the team how to keep people from driving the cars too fast. They found the simplest solution is to attach a 2x2x4 inch block of wood to the bottom of the gas pedal...a governor of sorts. This 'governor' would prevent the gas pedal from being fully depressed and would effectively reduce the speed that the car would go. After running some tests, they found that indeed, the blocks made the cars go slower, burn less gas, run longer and cleaner and improve the overall quality of the experience...just at a slower pace. Problem solving at its finest, the leaders begin communicating how the cars go too fast and burn too much gas to the team and that these new wooden blocks are going to save the company from certain disaster. It's hard to argue with the speed/overconsumption logic and of course the test data is right there, so work begins and cars start getting shipped to go slower. Perhaps this will prevent the gas consumption to some degree, nobody is arguing that...but then nobody is really looking at the problem anymore. 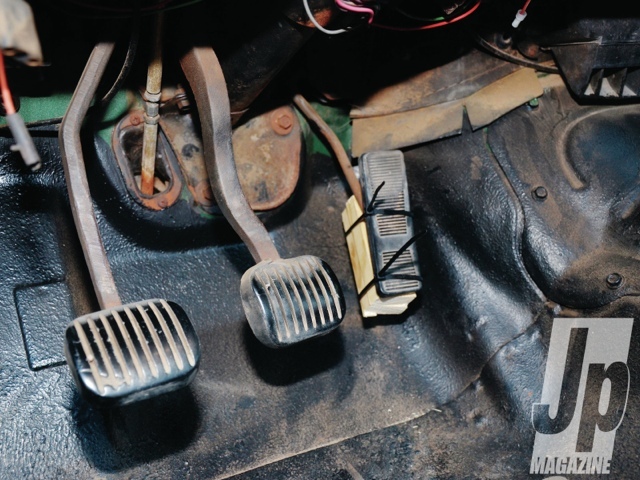 Instead, innovation gets applied to the problem of how to put the new block/pedal assembly in place as efficiently as possible and save money on this new innovation. I call the goal of applying the blocks to all the gas pedals an input goal. OK, I may be guilty of oversimplifying here, but you get the point. We have been taught that as leaders we need to quickly identify problems and just as quickly drive down solutions and get some action. How much innovation did we leave on the table here? Perhaps the guys that build the engine have known for a while that the air intake is too small and needs re-design. Perhaps the guys that make the body know that the material they use is much heavier than it has to be. Perhaps the wheels are too small. Maybe our speed hungry customers climb under to remove the wood blocks from the gas pedal when they get home and wonder what the heck we were thinking. A good leader will likely keep asking questions and uncover all of these innovative solutions, but a great leader will help the organization understand the problem, set a high output goal and encourage everyone to drive towards it. How about instead of telling the team to apply wooden blocks, we challenge them to reduce fuel consumption by 50% and see what we can come up with.